How does epilepsy affect one’s life? Because epilepsy varies so widely from person to person, the effects that it has on an individual’s body and life can range from mild and relatively minor to extremely serious and debilitating. What is the public’s attitude to epilepsy? Epilepsy is still not often talked about in public. Ignorance of epilepsy among the general public means that many seizures are still unrecognized and mishandled. The public’s misconceptions and fears about epilepsy promote misunderstanding and prejudice against people with seizures. This stigma can be very damaging to people living with epilepsy. What impact can epilepsy have on social relations? The very unpredictability of seizures, in terms of their nature, timing, severity and the situations in which they can occur can cause social difficulties. Discrimination or rejection may also be a problem for a person with seizures. In addition, family and friends can tend to be overprotective or impose unnecessary restrictions that can lead to isolation and social problems. Dating, sexuality, marriage and starting a family may be experienced as being more difficult. Fearing a negative response, many try to keep their epilepsy a secret from others. People with active epilepsy cannot drive, which can also affect their ability to be socially active and independent. What impact can epilepsy have on employment? Getting and keeping a job can be more difficult for the person with epilepsy. Like others, employers often have misconceptions and apprehensions about this disorder. The question of when to disclose your epilepsy to an employer can cause a person a great deal of anxiety. Of those who do find employment, many are employed in jobs below their qualifications and experience. This happens all too frequently, despite the fact that laws entitle all people to equal treatment by an employer and freedom from discrimination because of disability. 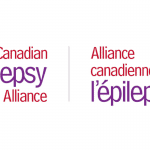 Specialized educational material and employment assistance aimed at workers as well as employers is available from Epilepsy Newfoundland and Labrador. What psychological impact can epilepsy have? Just as the effects that epilepsy has on a person’s body and their life vary widely, so do its effects on feelings. Certainly, feelings of uncertainty and being out of control are common. 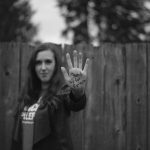 Society’s lack of understanding of epilepsy is a burden that is strongly felt, and many people with epilepsy try to keep their condition a secret. Psychological problems, if they develop, usually come from how others react to the person with epilepsy, or how the person with epilepsy anticipates others will react, rather than from the epilepsy itself. Lowered self-esteem and self-confidence often accompany epilepsy. Feelings of anger, frustration, embarrassment and vulnerability may develop. Increased levels of anxiety and depression are also more common. What effects can epilepsy have on family and friends of the person with epilepsy? Friends and family will vary in how they react to a loved one with epilepsy. When the diagnosis is first made, it is normal for them to go through feelings of fear, grief, loss, guilt, anger, and frustration. Family and friends often find it difficult to deal with the uncertainty of seizures as well as with the prejudice and ignorance of others. They may become “overprotective” or restrictive of their relative/friend’s activities. If the person with epilepsy is a child, their siblings may feel left out, afraid, or be made to feel overly responsible for the safety of their brother or sister. If the person with epilepsy is an adult child living at home, issues of independence and concerns about the future may arise which affect family dynamics. If the person is seeking an intimate relationship (dating) or in a partnership, they may encounter a lack of sensitivity or understanding of their epilepsy. Parents who have epilepsy may have concerns about how their children will cope with their seizures. Maintaining friendships can be difficult, as the disorder may challenge ongoing social activities by its very nature. What can a person with epilepsy do to better cope? People who learn about their epilepsy and have support usually are better able to manage their seizures, cope emotionally, and advocate for themselves. Learning about epilepsy can be an important first step. Becoming a member of Epilepsy Newfoundland and Labrador, talking to a counsellor or joining an epilepsy support group are excellent sources of both information and support. Some people use a medical professional or a psychologist for psychological support. Building a support network -a chain of interconnected persons who help give strength as well as supply necessities – is important. Taking an active role in managing your own epilepsy is another important part of coping successfully. What can I do to help manage my seizures? Taking an active role in managing your epilepsy is recommended. Self-management involves taking charge of oneself and one’s attitudes, observing the circumstances when seizures occur, alleviating or changing these conditions with preventive measures, and, where possible, finding a method of intervention that helps control seizures and using it. Many people with epilepsy have noticed that their emotions and feelings affect how often they have seizures, so learning to manage your emotions better may actually help reduce the number of seizures. Attitudes – like defining yourself in a limited way as “an epileptic,” or concentrating on the things you can’t do rather than those you can – are possible to change. (An epilepsy counsellor or support group can be helpful here.) Talking about your epilepsy in a matter-of-fact way after people have had the chance to get to know you can relieve stress and improve your safety. Prevention of seizures can include learning how to manage stress through relaxation techniques like yoga or writing in a journal. Sleeping sufficiently and on a consistent schedule, exercising regularly while avoiding hyperventilation, eating well-balanced, nutritious, regular meals, avoiding caffeine, artificial sweeteners, alcohol and street drugs, and taking medications on schedule, are important steps you can take to help prevent seizures. Recording your seizures in a seizure journal (available from Epilepsy Newfoundland and Labrador) can help you and your doctor recognize seizure patterns and possible seizure triggers. Seizures that occur in relation to the menstrual cycle may respond to modifications in the medication regimen. Some people with epilepsy can learn to recognize when a seizure is coming and find interventions (like conjuring up an image, breathing deeply and slowly, or grabbing an affected part of their body) which may prevent a full seizure from coming on. What about my relationship with my doctor? Good medical care is based on a partnership between the doctor and the patient and/or the family. When you have questions about epilepsy and how it’s being treated, write them down on a list as you think of them and bring the most important ones to your next appointment. If there isn’t time to go through all your questions, make another appointment. If seizures or drug side effects have occurred, or if other things have happened or have changed since your last visit, tell the doctor about them. If the treatment isn’t working, tell the doctor that. Make it clear to the doctor what is important to you and what concerns you have. It’s important for the doctor to know about any “black-outs”, spells, auras or small seizures that you have experienced. Most patients with epilepsy see a specialist for their epilepsy, who is a neurologist. Sometimes, the relationship between patient and doctor doesn’t “click”, or the patient likes the doctor but their seizures remain uncontrolled. A change in doctor or a second opinion are reasonable options open to you as a patient.